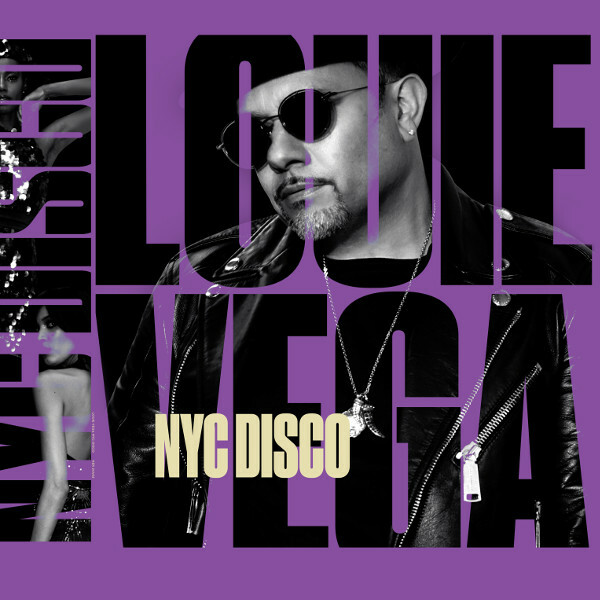 Grammy award winner Louie Vega is known worldwide as one of the finest creators and purveyors of house music, both as an individual artist / producer / dj and as partner with Kenny Dope in the renowned production team known as Masters At Work. His multiple musical talents have also brought him much acclaim in the genres of salsa, afro-beat, jazz, hip-hop and soul. Last year he reached another career milestone when his album “Louie Vega Starring...XXVIII” was nominated at the 2017 Grammys for Best Dance Album, which further solidified his position as one of the industry’s premier artist / producers. But not everyone knows about Louie’s deep respect, admiration and knowledge of the disco genre that laid the foundation for so much music that moves crowd on dancefloors and festivals today. Louie’s connection with Nervous Records and it’s father / son founders Sam and Michael Weiss goes back to the label’s very early years, as Masters At Work gave the label some of its earliest hits along with its signature release “The Nervous Track” by Nuyorican Soul. Louie was always aware of the many disco hits that had been released by Sam on his Sam Records label back in the 70’s and 80’s. But it was not until recently that Louie suggested Michael send him the 24 inch multi -track masters of seminal Sam Records disco classics like Gary’s Gang “Keep On Dancing,” John Davis & The Monster Orchestra “I Can’t Stop,” Convertion “Let’s Do It,” Vicky D “This Beat Is Mine,” as well as several others.